Sometimes we feel like a wildflower growing in the forest. Living life day to day, seemingly unnoticed and unseen by the world. Alone in our thoughts, scrolling through social media and feeling like everyone else is seen but me. Maybe we feel trapped by our circumstances, health, or finances. What contribution are we really making? Who will see us? A quote from Oswald Chambers, a Christian minister from Scotland in the early 1900s, has helped me to think differently about my unseen life. He said, “Notice God’s unutterable waste of saints (believers) according to the judgement of the world. God plants his saints in the most useless places. We say — God intends me to be here because I am so useful. Jesus never estimated his life along the line of greatest use. God puts his saints where they will glorify him, and we are no judges at all of where it is. Anna, in the Bible, became a widow after only seven years of marriage and went about life unseen until she was very old. Tabitha went about her small community doing good and showing kindness. The Bible gives us examples, but life gives us examples, too. I remember Jack, in a small town in western PA going about his community mowing lawns for widows. Linda going about her community making sure those unemployed had food to eat. Who has made an impact on your life as you observed their unseen life? Right where you are, God knows you can make the most use for his glory. What unseen ways can you reach out today? Unsure? Ask God to prompt you as you go about your day. Our unseen life matters in a big way! 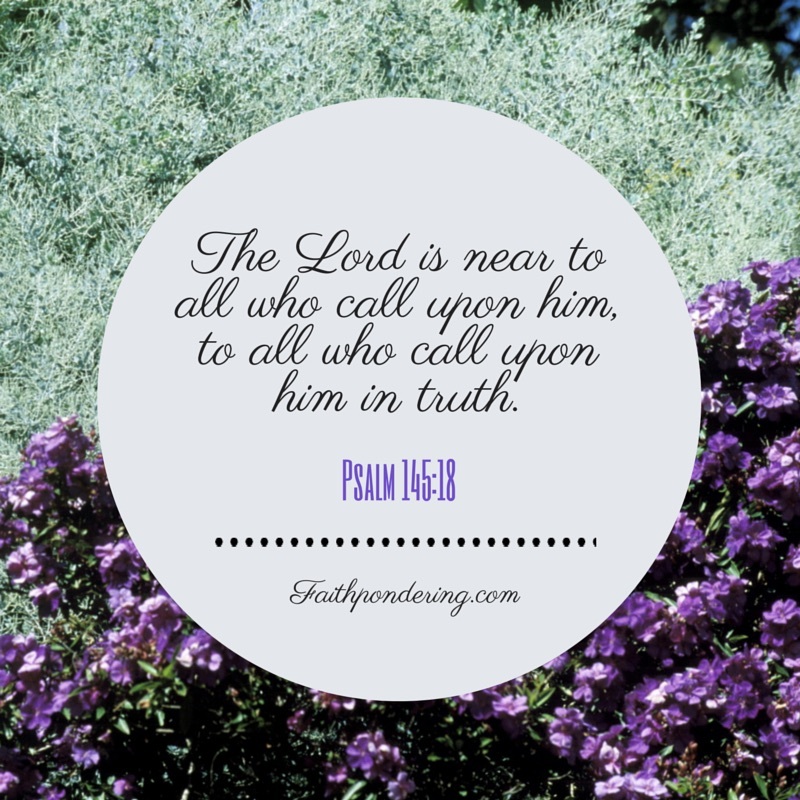 This entry was posted in Faith, Inspiration on July 16, 2018 by faithpondering. 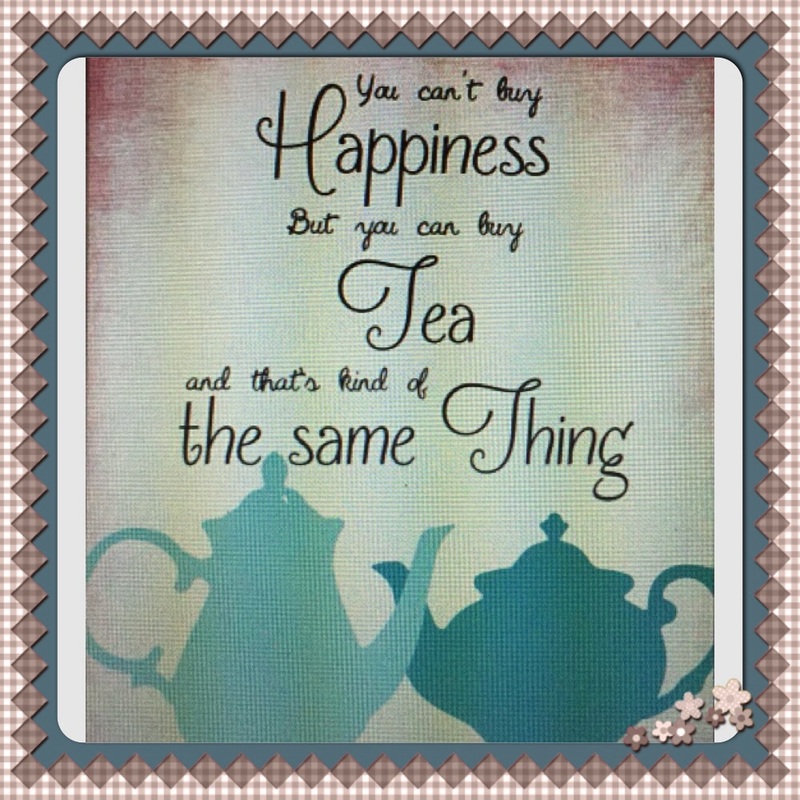 This entry was posted in Inspiration, Tea and tagged buy, happiness, Happy, tea on April 7, 2015 by faithpondering. Daniel wouldn’t adjust to an evil world. John the Baptist wouldn’t, Paul wouldn’t and Jesus wouldn’t. Oh, how we need people to see the sea! To see that holy, uncompromising life full of grace and truth. When you know the truth, the truth will set you free, free from the evils we deplore, set free to be all God intends you to be. 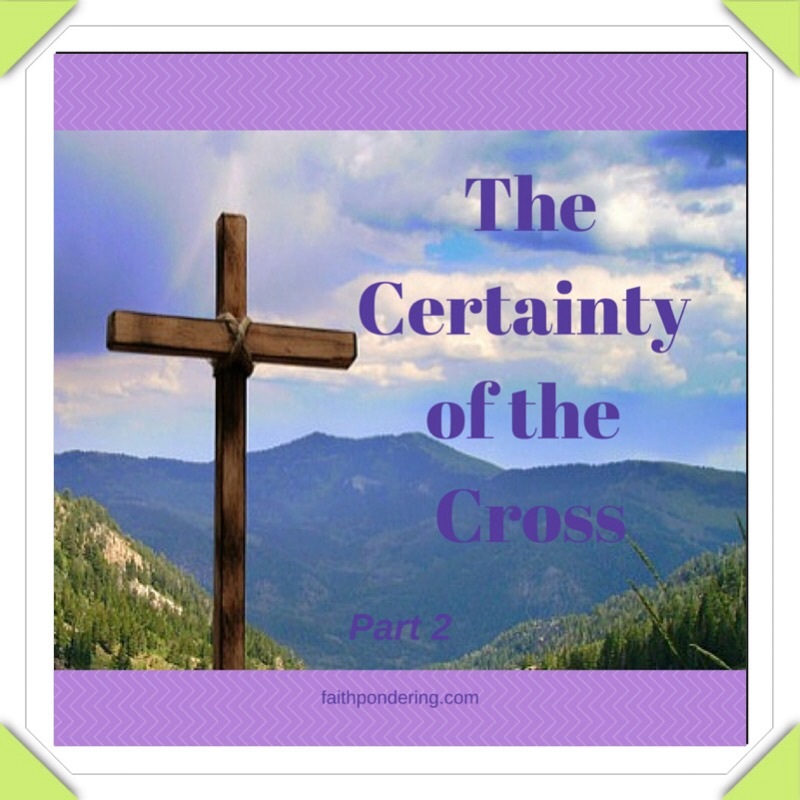 But it involves the certainty of a cross, believing the Jesus is the Crist and has the words to eternal life. Jesus was certain of the cross. But he knew by his death on the cross, not for his sins but ours, we could have the Holy Spirit to melt our hard hearts so that we could love one another as God loves us. 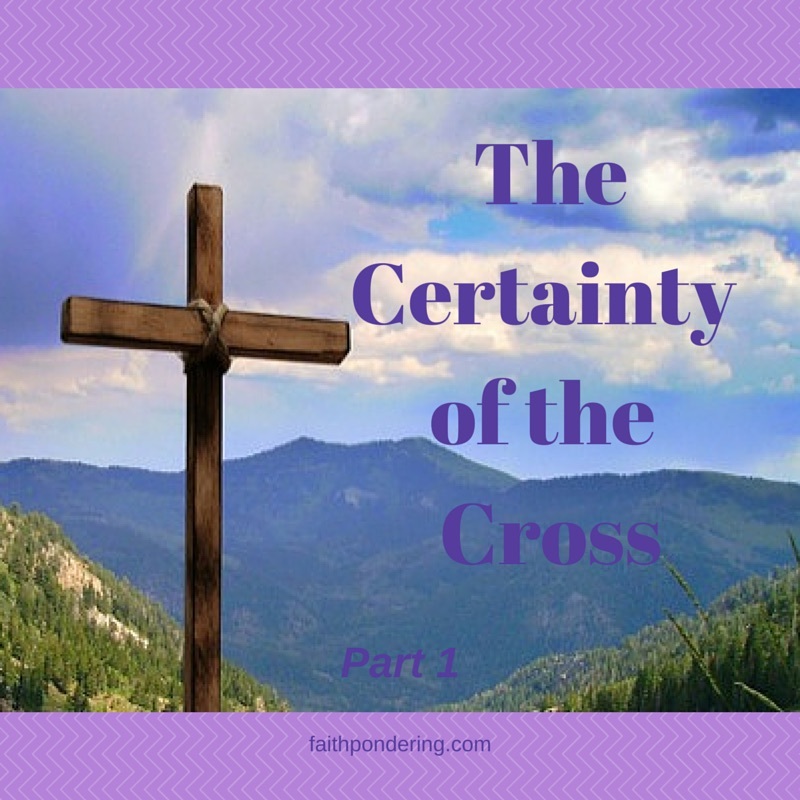 The certainty of the cross. There is a cross for everyone. This entry was posted in Country preacher, Faith, Inspiration and tagged certain, cross, Easter, Jesus, Old rugged cross on April 4, 2015 by faithpondering. Not many Christians of my generation can forget the impact a talented, bold , young Jewish man made on us. That sounds like Jesus doesn’t it — well, it’s not. It’s Keith Green. Keith was an outspoken Jesus follower who challenged us to live completely for God. To give out hearts, souls and mind to Jesus. He challenged us to live radically for Jesus. Maybe a little like Francis Chan today, but there was just something about Keith’s message, the urgency in his voice and words that captivated and convicted. Keith not only spoke with power but his music was hauntingly deep and yes, captivating and convicting. I had the privilege of hearing his wife, Melody, speak yesterday in Elizabethtown, PA. She told stories of her life and challenged us to show compassion and really see those around us everyday, everywhere we go. It brought back so many memories of my late teens and early twenties when the Jesus Movement was happening. Many were making serious commitments for the Lord and coming to know Him. It made me long for that kind of spiritual outpouring to happen again. I don’t know why God chose to take such an influential voice for Him home so early, why Keith had to die when he was only 28. But he left a lot of music behind, music that still stirs the soul and heart when I listen – and even when my Millennial children listen. Here’s a couple of Keith’s songs I’ve been captivated and challenged by this week. I thought they might stir your heart, too. Do you have a story of how Keith or his songs impacted your life? Please share by clicking ‘Leave a reply’ at the top of this post, just under the title. This entry was posted in Faith, Inspiration and tagged compassion, Easter, fiath, heart, Jesus Movement, Keith Green, Melody Green on March 27, 2015 by faithpondering.